After not making a move this week to bring in a new coach, one must now question what will it take for the Isles to make this much-needed move. This team has shown all the signs of a team that needs something new, and the easiest decision is to replace the coach whether its warranted or not, that’s the rules of the game. While plenty of talk has been put into who should be fired, less talk has been about who should replace him. Multiple options exist both internally and externally. The Isles would probably promote from within, which is a mistake at this point in the team’s development. They need a coach who understands what it’s like to be successful in the National Hockey League, not someone who is trying to find their way. There should be zero patience for on the job training. The Islanders are in danger of losing the entire season and a new coach may be all that saves them from doom. Here are the top “available” options to coach the Isles. Doug Weight: Weight has been seen by many as the heir apparent to Capuano ever since becoming an assistant coach. What made this move interesting was he kept his title as Assistant General Manager along with being an assistant coach. Many would still consider him the favorite to take over the job. As the Assistant Coach that works mainly with the forwards he has left plenty to be desired. During his time behind the bench many promising forwards have failed to reach the expectations placed upon them. Eventually you either should blame scouting or development and Weight has his hands in both. Based upon his results it is questionable at best if he deserves a promotion. Brent Thompson: The other in house candidate is currently the head coach of the Bridgeport Sound Tigers in the American Hockey League. He is familiar with much of the roster since he was an assistant under Capuano for two seasons, in between stints coaching in Bridgeport. The Sound Tigers have had limited success under him but no deep playoff runs. By all accounts Thompson is very well respected within the organization and the team has no problems putting players in Bridgeport to play under his tutelage. The biggest question is, is he different enough from Capuano or would it be more of the same. 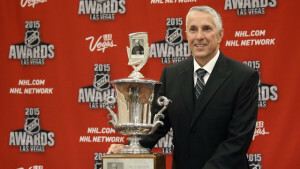 Both Weight and Thompson are inexperienced head coaches at the NHL level. Weight has never been a head coach at any level. For these reasons the Isles must look outside the organization at coaches with some recent experience. These coaches are currently free from any organization and should be able to walk in the door without issues from other NHL teams. 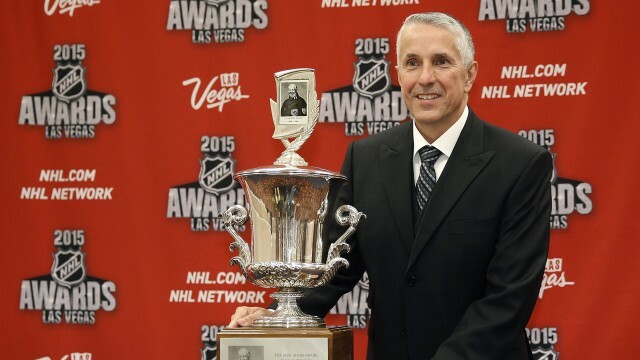 Bob Hartley: What a difference a year makes, Hartley won the Jack Adams award for the 2014-15 season after leading Calgary on a surprise run to the Pacific Division Finals. Last year the goaltending fell off a cliff and the Flames took a major step back costing Hartley his job. His career has included stops in Colorado where he won the Stanley Cup, and in Atlanta where they were not awful. Hartley has experience with both veterans like in Colorado and with young players like in Calgary. Adam Oates: Oates would be an interesting decision as a head coach. His most recent position was as a co-coach with Scott Stevens in New Jersey. He was also the head coach in Washington for two full seasons before giving way to Barry Trotz. A coach with his level of experience not currently being on a staff should give the Isles cause for concern but unless more options present themselves he may be one of the few available. Ted Nolan: As a coach who was in the league as recently as 2015 he should at least garner some consideration for open positions. The numbers during his latest tour of duty with Buffalo were terrible that was more on the situation and not Nolan. This was a team that to the outside was trying to lose. His teams played above their heads. But returning to coach the Islanders would be a desperate play by Garth Snow. Since they did not have the greatest working relationship last time there will not be a reunion between this team and Ted Nolan. Being the first team to fire a coach in season is a difficult endeavor. Many of the likely successors are currently in other organizations, so the full interview process is unlikely. Whether it’s nice or not, this team needs a change in leadership and the coaching position is the place to make the change. Changing the message is important at a time like this. It is unfair to Jack Capuano that upper management gave him a lesser team with greater expectations, but that how things work in the NHL. Saturday is the time before to make an unIslander like move and bring in a fresh voice to lead this team on its west coast trip and give the fans something to cheer when they come home. Bob Hartley is the coach that needs to take over this team. He has the resume to reach all the players on this roster and he understands what it takes to reach the highest levels of this game.